The other day, in local, a random day old character said that THC2 (The humbleless Crew) was a pet corp for 7-2 (Calamitous-Intent). When day old characters know that two groups work together such as THC2 and 7-2 I suspect that they may not be true one day old accounts hanging out in low security space. In fact, I wonder with amusement if someone has planted yet another alt into the area that we live to keep watch of our activities, movements, and numbers. It is a task that would bore me to tears before I even created the alt. But, there I was, with this comment placed into local. I immediately tabbed to my other monitor and demanded from Altaen and DP that I get a new, blue collar on twitter. After all, if I was a pet, why did I have no accessories? Part of the reason of having pets in games is to have something else to accessorize as well as be adorable and follow you around. I fill the adorable field quite well. And I fly with 7-2 frequently I feel that covers the following them around field. Now, officially proving my status as a pet, I felt that I deserved a collar and some attention and money and care lavished upon me. The subject of pets in Eve often corps up as a troll point in an argument or a bitter snark at CCP's developmental focus or goals to improve Eve's accessibility. It is a finger pointing to sneered upon MMOs. MMOs that are not Eve. And in these MMOs a player can often acquire a pet to follow their avatar around. But, Eve's Avatar's are the spaceship that you slip into. Your screen does not display your face, no matter how exciting the Origin trailer is. The closest Eve has to pets are drones and even then, for most of us, our drones are represented by colored boxes on our screen due to their very, very small size and Eve's vast visual distances. And so, pets. We don't have them. In the land of small gang warfare, fleets are also a symphony of alts. Alternate characters are complete, functioning characters. But they are not mains. They are not real like a main character is. When someone talks to me, I may respond from whatever character I have logged in but they will address me as Sugar because Sugar is my main. In fact, not addressing me as Sugar is a sure sign that they do not know that a character is my alts. We create alts for various reasons. Sometimes it is to have a second, main character with another life. A lot of the time our creation goal is for a focused reason. We create link alts, industry alts, mining alts, scout alts, titan alts, hauling alts, trading alts, ad the list goes on. We often focus and specialize them and stop training them when they have created that goal. Meanwhile back at the ranch, the main is happily learning whatever makes us feel good or is needed. Then, the time for a fleet appears. The alts are logged on and we cast our hand out and scatter them to their tasks. You, go scout. You, provide links. You are the falcon alt for honorable solo PvP! Have you played Overlord? Overlord is one of my favorite games. It takes the concept of pets and twists it. Your actual Avatar is reasonably powerful but not overwhelmingly so. Your minions are your hands, your eyes, and your very actions. You play the game through your Avatar's control of them. You send them forth on tasks, direct them to do things in somewhat automated fashions and in a way fragment yourself through several perspectives. The same thing is done in Eve. From our Cyno alts to our bait alts we have pets. Our pets are extensions of us but they follow us everywhere that we go. They are just not automated in their actions and must be activated by the player. But, this is Eve. What fun would it be if our Falcon alt always decloaked and saved us at the right time? None! And to add more reinforcement to our alts as pets, one can look at the Character bazaar. Some in Eve will buy and sell their mains. The bazaar itself is mostly composed of what we call 'utility' characters. One strolls down its list, a finger pressed to the lip and scans stats and abilities. "I want a...." is the start of the process as the selection is made. The seller represents his goods with a jolly, "This is a finely trained, perfect Tengu character!" and the alt stares blankly from its generic portrait, its entire life the cocoon of an NPC corporation. Some speak of pets when they refer to sub levels of social groups. It goes back to the feudal system that Eve consciously or unconsciously functions under. And while pet may be used as an insult at that point it is not a true example of what a MMO pet is. The alt character is much closer. Players, or more often, corporations or alliances who live under the umbrella of a larger, more powerful group with hopes of advancement and reward may be used as meat shields and may be tame but they are still independent, individuals. No. I believe that the alt character is the true Eve pet. it fits with the flow of the game. They are expensive. Complex. Incapable of doing things on their own. Necessary but a pain. Addictive. Time consuming. Oh yes, you do have pets in Eve. They do not need to be trailed by sparkling rainbows and lurid visual effects to mark them as a pet as they trail behind your ship. Of course, if one has ever used 'keep at X range' it is a lot like being followed. Add some shield or armor repairs or perhaps a cap transfer or a sensor booster and you even have a shiny visual. 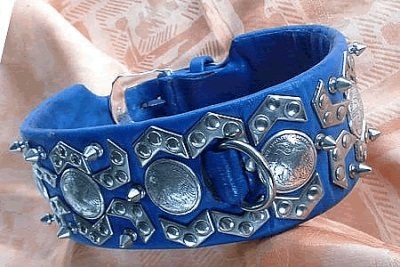 I've had afghan hounds for year and one of my guilty pleasures is picking out expensive collars like that for them.